The best food to eat is straight from the source, whether it be ground, animal, stream/ocean, or tree. Don’t grow your own grub? Don’t live on a farm? No problem! No matter where you live, chances are there’s freshly picked food near you. I dug up some resources to share so you can experience food as it was meant to be eaten! Why: Food is fresher when it’s not shipped in from thousands of miles away. Fruits and vegetables that travel long distances are usually either unripe (because they’re picked too early for a long journey) or on the verge of spoilage by the time they get to you. Produce at farmers’ markets is local and seasonal…you’re living in a certain climate, and your food should too. Having the people who grow your food available to answer your questions is a big plus. You can find out if they spray their produce and how often, or learn what conditions their animals live in and what they eat. Sometimes farmers can’t afford to be “certified organic” but follow those practices anyway. And knowing that information can save you some major moolah. 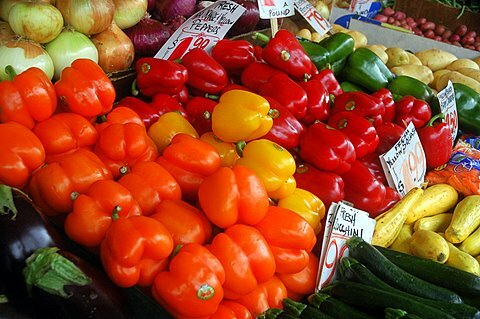 How: Visit Local Harvest to find farmers’ markets in your area. Assortment of squash and radishes from my CSA. Why: You support local, small farmers by purchasing a share of their yield, and in return, receive a mix of seasonal produce each week throughout the farming season. Some CSAs deliver, while others have pick-up locations. Most list what fruits and veggies you can expect to find in your share, and some also offer other goodies such as milk, eggs, cheese, jam, meat, flowers, and bread. How: Again, Local Harvest is the place to go to find CSAs closest to you. Then visit that CSA’s website to get details. Sign-up is usually in early spring and tends to sell out fast, so make sure you mark the date on your calendar! 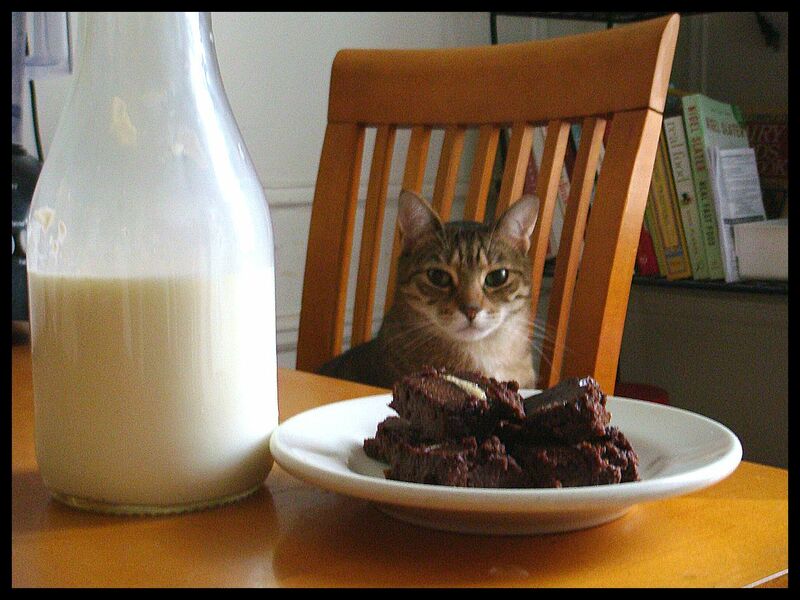 A winning combination: Raw milk, fudgy flourless brownies, and an adorable companion with which to enjoy it all! Why: Drinking milk from grass-fed, pastured, healthy cows (or goats or sheep) is the ultimate “Got Milk” moment. Real dairy is raw, which means it’s neither homogenized nor pasteurized. Unfortunately, raw milk isn’t commercially available in most states, so I get it delivered from a dairy co-op that sources its products from Amish farmers. Other than dairy products (including cheese, yogurt, cream, etc. ), they also offer meat, fermented products, spices, and unfiltered honey. Farmers who believe in raw milk also believe in raising, growing, and producing products that are as nature intended (no antibiotics, pesticides, or additives). Their animals eat what they’re designed to eat, so you get the nutrition and benefits you were meant to receive. How: Check out RealMilk.com to get info straight from the cow’s mouth about the benefits of raw dairy and how you can get it. I have a question…being a New Yorker….you see those fruit stands all over the city. Do you reccomned those as well? Or should I stop being lazy and walk the extra 10 blocks to the farmers market in Union Square? 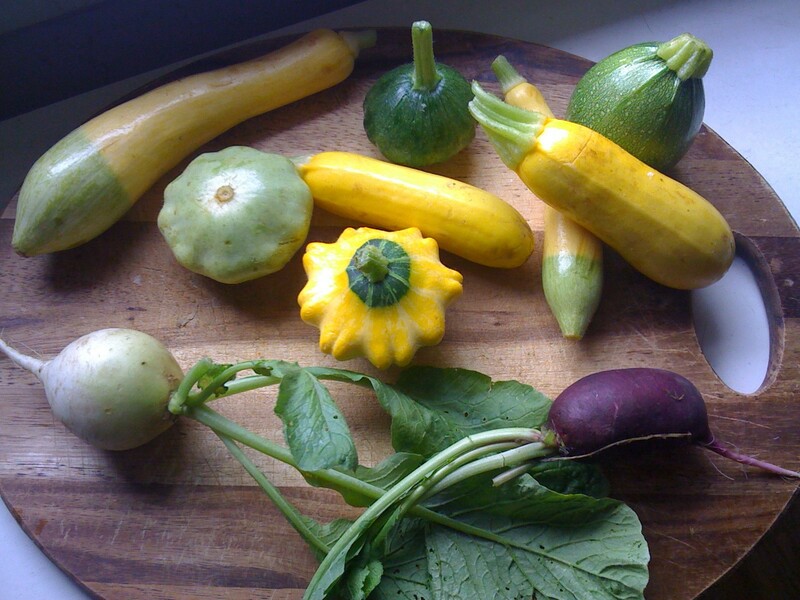 I also love the part of the CSA…..who knew? Great question, Liz…the farmers’ market would be the ideal place to buy your fruit as fruit stands in NYC stock conventional produce that contain pesticides. But if you end up at a street fruit stand, pick a fruit that is lower on the pesticide scale. Kiwi, grapefruit, and watermelon are safest, and bananas are good options too…apples, grapes (imported), and strawberries are some of the worst. For a complete list of the “dirty dozen” in produce, check out http://www.ewg.org/foodnews/summary/. You can also download the EWG’s Dirty Dozen app onto your smartphone so you can check the list wherever you are! Great post. Thanks for the raw milk resource.